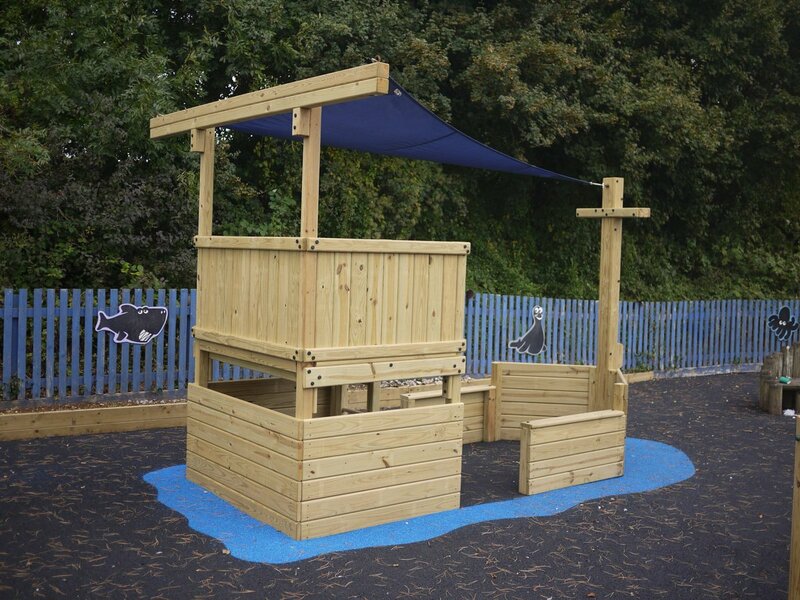 Our Playtrails are constructed from the same smooth-surfaced timber as the rest of our equipment with thick profiles and rounded corners. The equipment in our standard range is designed to suit KS2 children (ages around 7 – 11), but most pieces can be scaled up or down to suit different age groups. All are strong enough for children of all ages (and even adults) to use. We have an adult-specific range of outdoor fitness equipment too. Full details here. Why not let us help design a playtrail which is right for your school. Your playtrail can be as challenging or as gentle as you want. Some of our pieces require a climb, others balance. Mix and max the different skills required to keep it interesting. You can design your playtrail so children move straight from one unit to the next without touching the ground; or you can create movement by allowing spaces between each piece. Talk to us – we can provide help and advice at the design stage to get the right solution for you. And don’t forget the playtrails can be used both for formal PE classes or free play by children during break times. They can also be expanded at a later date when more space or funds become available. Every one of the playtrails we’ve designed is unique. Clients pick a selection of the items they want based on their requirements (or space, or budget). To see the selection of different units we offer click here; but if you have something in mind which is not currently in our range, we can easily create it. Or have a look at our Commercial Photo Album – here there are just a few of the installations we have completed. What about playtrail surfacing ? Safer surfacing requirements depend on the layout – if the playtrail items are spread apart to create a “journey” from one piece to another they will require more surfacing; alternatively set them so users step straight from one piece to another without touching the ground. Also an item with a play height below 600mm does not require surfacing according to current standards, but many schools put surfacing under the whole run to preserve uniformity and protect the ground.